Flora Danica is one of the world's most prestigious and luxurious porcelain collections. Dating from the 1700s the service was the life's work of acclaimed porcelain painter Johann Christoph Bayer. It was created as a gift from royalty to royalty and is still used by kings and queens today. The astonishing detail of the painting and perfect quality of the porcelain form make each piece an absolute treasure. 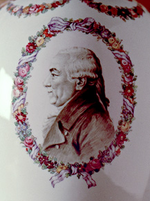 Johann Christoph Bayer (1738-1812) was born in Nuremberg in 1738. His father owned a glass-painting factory and, as was common for the time, Johann followed in his father's footsteps - almost. What fascinated Johann Christoph Bayer was porcelain painting, and in particular the work of Johann Christoph Dietsch. After years of private studies he travelled to Copenhagen to work for the Royal Copenhagen Porcelain Manufactory. He was known for his accuracy and dedication, and soon became the leader of an enormous project: the creation of Flora Danica. Flora Danica is one of the world's most exclusive dinner services from the golden age of porcelain. It was commissioned by the Danish Royal Household as a gift for Catherine the Great of Russia. Johann Christoph Bayer and his staff modeled and cut out every piece by hand, making every part a work of art in itself. Serrated edges and perforations are cut out by hand, and the flowers on lids, covers and handles are modeled in porcelain, leaf by leaf; the making of Flora Danica simply speaks for itself. 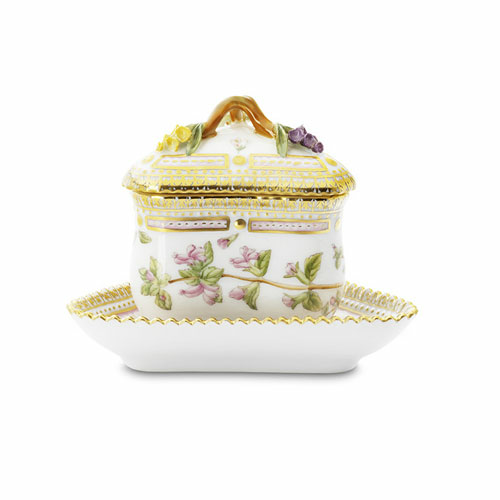 The production of the service ended in 1804 and Johann Christoph Bayer was granted a pension from the Royal Copenhagen Porcelain Manufactory. At this time Johann Christoph Bayer was 66 years old. He died in Copenhagen 8 years later.